Let’s begin by considering your typical science class in school. The danger our children are facing in our country today is the subject matter that the state and federal government now calls “science!” The teaching in our public school systems of a naturalistic model of science is not only counter enlightenment, but is also the very means that the educational system is using to stifle religious expression and thought! And, as Ken Ham has clearly stated on his blog (see this link: http://www.answersingenesis.org/articles/2013/04/30/atheists-attack-christian-school ), some atheists are on a seek-and-destroy mission to eliminate any teaching about creation and a Biblical worldview, even in private Christian schools! This matter will not go away and we as believers in the authority of the Scriptures need to take note of what we are already facing in the field of education. The Creation-Evolution debate. Does it belong in elementary schools? Education, like all disciplines, leads us toward certain undeniable consequences. If I discipline my body as an athlete being meticulously careful about diet, exercise and training, I can expect, in normal circumstances, to reap a healthy and well-toned physique. If I follow a regular regimen of physical training and body strengthening, I can expect to improve my body’s stamina, strength and toning. What makes us think, then, that we as a nation can systematically and progressively inculcate the belief (and it is a religious belief, the religion of evolution) that man is highly evolved animal and then wonder why our teenage boys go out and treat young girls as if they are in pack of wolves by demanding sexual gratification? It goes with the mental and spiritual training intrinsically inherent to the evolutionary view of mankind. Animals beget animals. Spiritual human beings beget people of personal worth and dignity. Take your pick. You cannot have both! Why do we look with bewilderment when we have, for over 50 years taught in our public high schools the philosophy of the survival of the fittest (the core of evolutionary thinking) and then observe with helplessness when a man destroys his own family through choosing to dump them for a 25 year old woman that fulfills his sexual fantasies and makes him feel more viral and manly? Do we think, that as a nation with our massive public school system that we can take the millions students and indoctrinate them with thinking that says we are the produce of evolutionary processes and then hope they have any sense of dignity and of spiritual and psychological understanding? We stack the deck against our youth by training them to think of themselves as mere “humanoids.” What goes around, comes around. In the article link above you can see by the attitudes of those against such activity and the statements made against the action of teaching creation in a school, many are vehement opposed to teaching and promoting a Biblical worldview. Let this be a first of many warnings that must be given. Our friends and fellow citizens who choose to deny that there is even a possibility of a Divine Being who designed and orchestrated the origins of life and the formation of the universe in which we live are not our enemies. They are human beings with a rational and logical bent that they feel must be fulfilled in order to define our existence. But that rationality and logic is limited. It is restricted by and often colored by the underlying presuppositions that mankind can explain everything and can understand everything. Such a thought process soon leads one to make major leaps of irrational ideas that cannot be sustained in a world of cause and effect or a world of physical laws. We have information that we must firmly and convincingly present to those friends who willfully reject the spiritual dimension of life. The facts are not all on the table for our evolutionary scientists and our humanistic philosophers and I believe that creation science will help bring that reality to a more balanced position. Knowing that the struggle has only begun, let us who trust in and accept God’s written Word as the infallible and authoritative answer to man’s origins speak up now! If not, we may lose that privilege. This entry was posted in Evaluating our Christian Culture and tagged biblical worldview, creation, education, evolution, humanism, indoctrination, secularism. Bookmark the permalink. This is one reason why we homeschool. I just went to a conference this weekend with Ken Ham as one of the main speakers. I am blown away, convicted, and repentant. I would like to offer that this is not the beginning of the battle…but that we are in the thick of the fight and many Christians have laid their Sword of the Spirit down when it needs to be picked up and used. 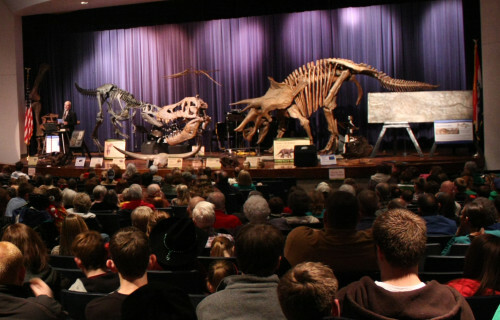 I would love to attend a seminar by Mr. Ken Ham. What a great step in helping form a Biblical worldview for yourself and your children or others whom you interact with. The challenge is for us as Bible-believing Christians to transfer the values and the truth to our society. I trust that you will make an effort to share those truths wherever you are. Thanks for commenting on the Blog! Please come back and do so again.